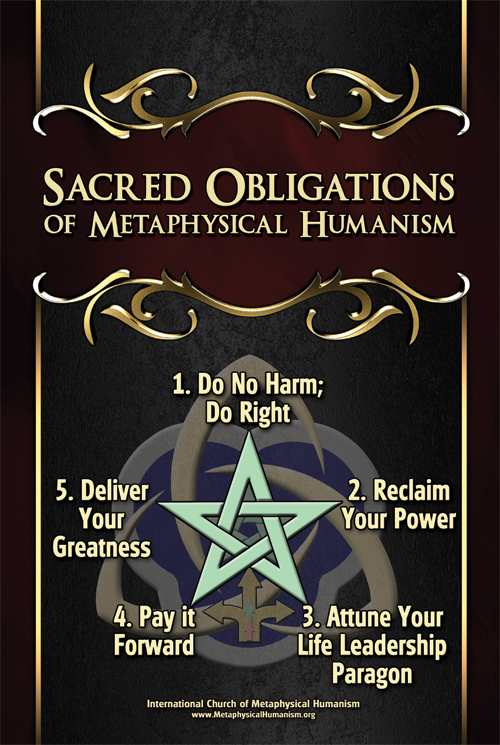 ICMH defines a "sacred obligation" as "a sacrosanct duty that any higher being would render for the highest good of all concerned." Some obligations are self-evident; we simply know that they should be followed. These include character traits such as honesty, integrity, trustworthiness, helping others, etc. Spiritual Sacred Obligations are behaviors based on high ethics and integrity, and become self-evident once they are known. Do No Harm; Do Right. Attune Your Life Leadership Paragon.